Do you want beautiful Quick Straight Teeth™? Do you wonder why you don’t have straight natural teeth? Have you blamed cost, the ugly appearance of a brace, time or discomfort for not getting the straight teeth smile you desire? Ask Sloan Dental about QuickStraightTeeth™, An Affordable and Gentle Way to Straighten Your Teeth Quickly. Affordable with various payments methods, including 0% finance. Our braces show results in as little as six to twelve weeks. Our braces are very discreet, clear and invisible. Our tried and tested braces are comfortable to wear. Most of our patients come to us looking for discreet braces and for quick results. Some are particularly unhappy with the alignment or crowding of their upper teeth. Sloan Dental can fit a QST fixed brace for 3-6 months followed by tooth whitening for the maximum results! Here are a few examples below of why fixing your upper six front teeth can make a huge difference to the overall appearance of your teeth. Q: How Much Do The Quick Straight Teeth™ Brace Cost? A: Quick Straight Teeth™ is an affordable way of straightening your teeth to give you a perfect smile. At Sloan Dental, we offer new and existing patients across Glasgow, Renfrewshire, Motherwell & Lanarkshire, a free initial consultation during which we can assess patients suitability for Quick Straight Teeth™. During your Quick Straight Teeth™ free consultation, we will discuss how soon you should expect to see results, what results might be achievable, and just as importantly, your present and future dental health overall. Quick Straight Teeth™ is an affordable way of straightening your teeth to give you a perfect smile. 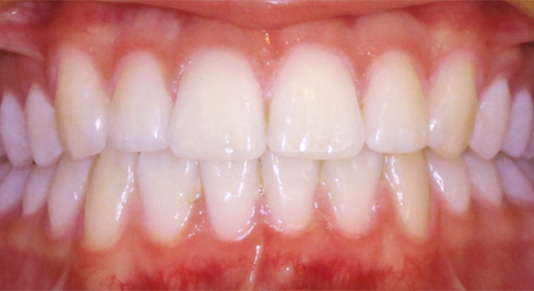 The invisible braces work by only concentrating on the front 6 to 8 teeth. Quick Straight Teeth™ braces for teeth can correct mild to moderate problems quickly, making it more affordable than similar options and more agreeable to patients to have straighter teeth and affordable braces cost. Q: What Does The Quick Straight Teeth™ Brace Look Like? A: Quick Straight Teeth™ braces use tooth coloured brackets and wires and designed to appear invisible in the mouth. Quick Straight Teeth™ braces help you to get straight teeth quickly without the ugly, bulky braces of the past. Thankfully, most people will be unable to tell you are wearing Quick Straight Teeth™ invisible braces at all. Q: How Long Does Quick Straight Teeth™ Brace Take Effect? A: Quick Straight Teeth™ invisible braces work by only concentrating on the front 6 to 8 teeth and takes less time to achieve that perfect smile than regular orthodontic treatments. At Sloan Dental, we’re helping patients all across Glasgow, Renfrewshire, Lanarkshire, and Motherwell realise their perfect smiles, in just a matter of weeks, not months. This is because we are proud to be able to make available Quick Straight Teeth™ clear and invisible dental braces, which can correct tooth alignment problems in as little as a few weeks rather than several months. Q: Can The Quick Straight Teeth™ Brace Be Uncomfortable? A: Quick Straight Teeth™ have been designed so patients can wear them comfortably. They do this by exerting a lighter pull than regular orthodontic treatments. After initial treatment with the brace, you will wear a retainer to support your teeth. The retainer is worn behind the teeth and this will be invisible, also. Q: Are Quick Straight Teeth™ Braces for You? A: Do you often shy away from smiling as widely as you could for the camera? If so, and offset or crooked teeth are what are impacting your self-confidence, Quick Straight Teeth™ braces are the fastest and safest way to help rebuild that confidence finally. Don’t hide from the camera any longer. Call Sloan Dental today and book your, no obligation Quick Straight Teeth™ braces free consultation. We’ll then assess your suitability for the system and have you smiling more confidently in no time. 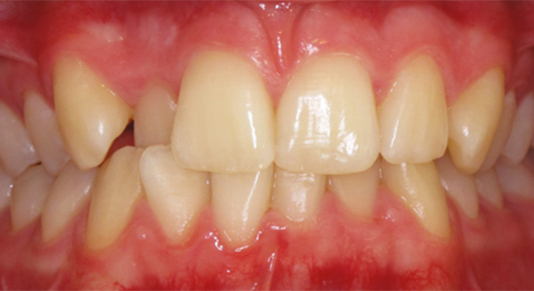 Get straighter teeth within 6-16 weeks. Best results take up to six months. I agree to Sloan Dental using my personal data to provide me with dental treatment. I agree to Sloan Dental using my personal data to keep me informed about marketing offers and initiatives that may be of interest. Download Your Free Guide To Straight Teeth! Sloan Dental operates two dental practices in the heart of Lanarkshire and Renfrewshire. Our dental surgery in Carfin, Motherwell has many happy patients throughout the area, including patients from: Bellshill, Wishaw, Salsburgh, Airdrie, and Chapelhall. Our dental surgery in Bishopton, Renfrewshire has patients throughout the area, including patients from: Clydebank, Renfrew, Old Kilpatrick, Houston, Erskine, Paisley, Kilmacolm, Langbank, and Port Glasgow. We are now booking patients for Straight Teeth For Summer in Lanarkshire and Renfrewshire. We also offer skin care treatments such as Botox, Dermal Fillers, Wrinkle Softening and more in both practices. Please read through the information on the site and use the contact form if you have any enquiries about our popular treatments.